What part can I play as a manager in raising morale? The importance of investing time and energy into your staff. We are all aware of the increase we have seen in emergency activity, particularly in the past six months. This, alongside failing social care resources, which significantly impacts the ability of organisations to have flow, has created the perfect storm. As the leader of an emergency team I ask myself how I can drive resilience in my staff when the service demands 110% from them each and every day, with little sign of things improving. Moral is understandably low and I can see fatigue setting in, so what part can I play? 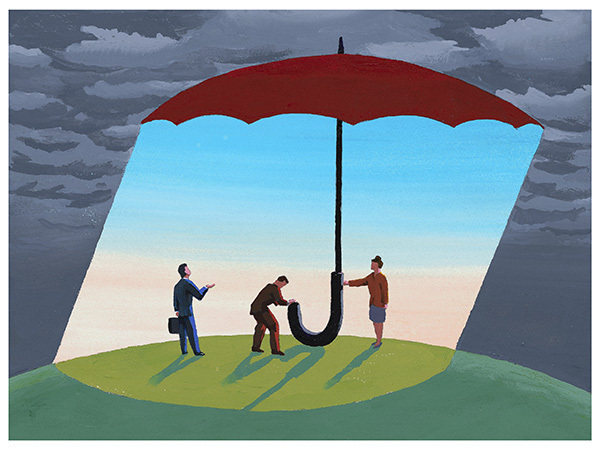 A recent debate of NHS top executives described the role of leaders in this turbulent time as ‘filtering out the noise for staff’ while another suggested that we should ‘hold up the umbrella and protect staff’. I share these sentiments but I do ensure staff are aware of the bigger corporate picture to an extent, so that they understand the pressures the organisation faces. The greatest sense of frustration I have seen from staff is a lack of ability to consistently deliver high quality care with over-stretched resources. I am unable to stem the rising tide of patient attendances and high acuity but I try to ensure staff have the best possible environment in which to deliver care; daily recognition of the team’s hard work in the basic form of a thank you is a start. Although I have an office based job, I undertake clinical shifts where I work alongside staff, listening to their frustrations and ideas, as well as demonstrating empathy with the challenges they face. I also invest in staff development through team days where staff have time together away from the ward. It is also important to promote education despite ever restricted funding and recruitment issues. There are no easy answers to our current predicament, but we need to enable our clinical teams underpinned by refreshed and engaged leadership.